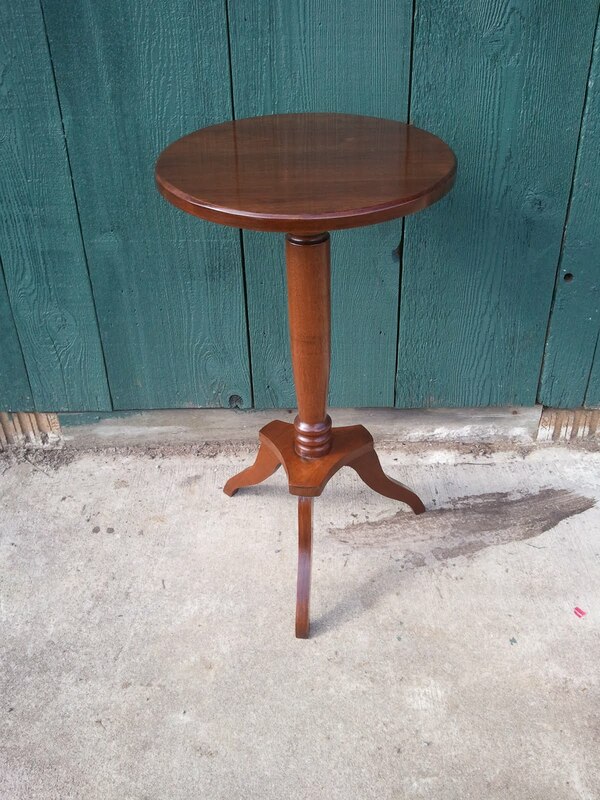 This post concerns a candle stand made from Walnut. 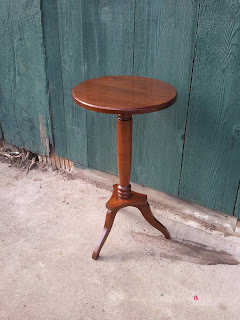 The stand was made around 1970 I am guessing and was made by hand. This is the kind of piece that reminds me of something that would have been made by a craftsman in his backyard shop. It was very simple in its construction and the simplicity gives it elegance. 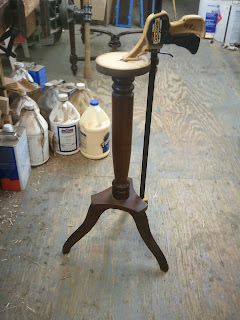 The entire piece was made from Walnut and the only structural damage to it was that the top and base had loosened a bit. 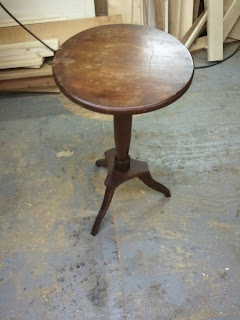 The top also had a lot of water damage so I decided to remove the finish from the top. The base had a finish that was restorable so I left it in place. The photos below show the process. 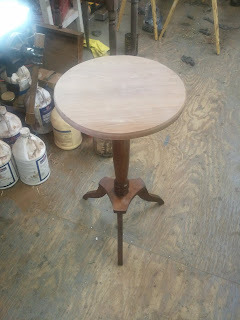 Here are two pictures of the table when it entered my shop. The second photo shows a detail of the water damage to the top surface. I removed the top in order to strip the old finish off. while this was going on I cleaned the finish on the base and glued it up. Here is a photo of the base clamped while the glue was drying. 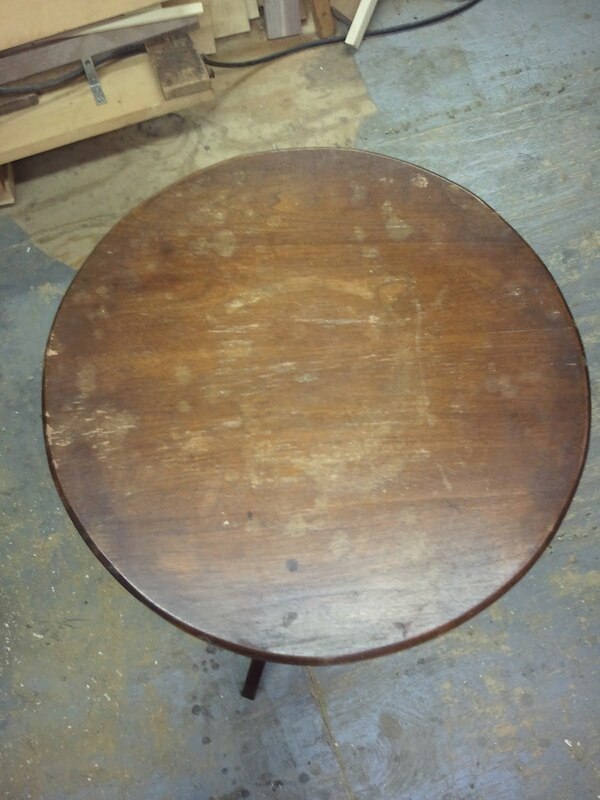 This photo shows the top reattached and sanded. 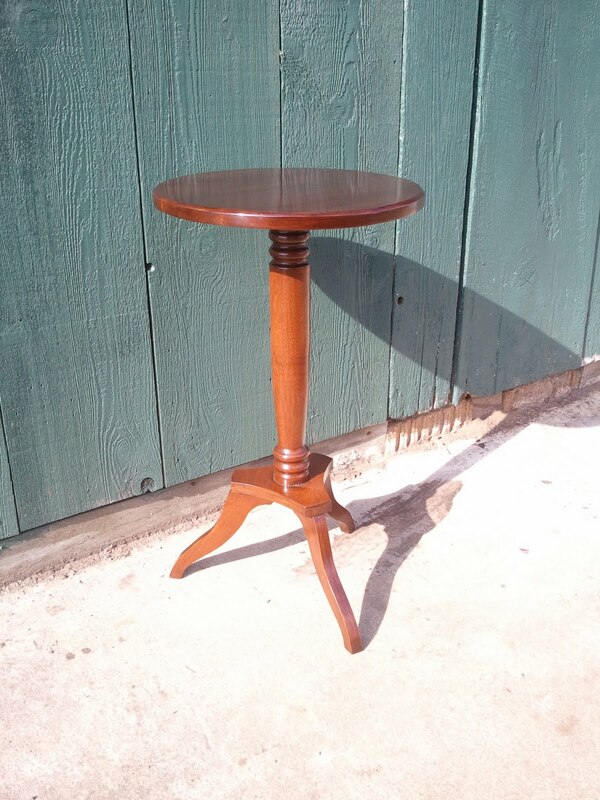 The top was lightly stained to match the base and then coated to build up the finish. 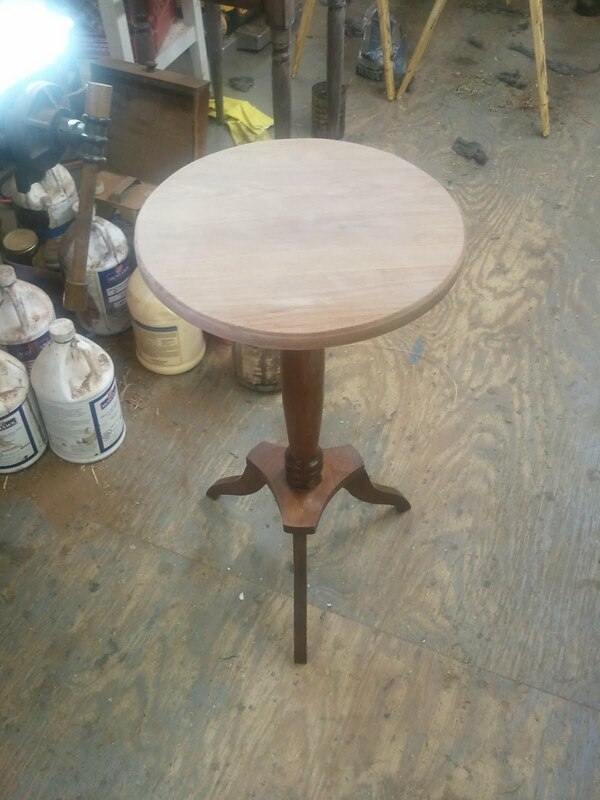 These last three photos show the table completed. It really looks nice up against the green background of the shop!